Itching to start a new collectibles hunt? This color-driven method guarantees an amazing look every time. Thinking about your next collecting obsession? 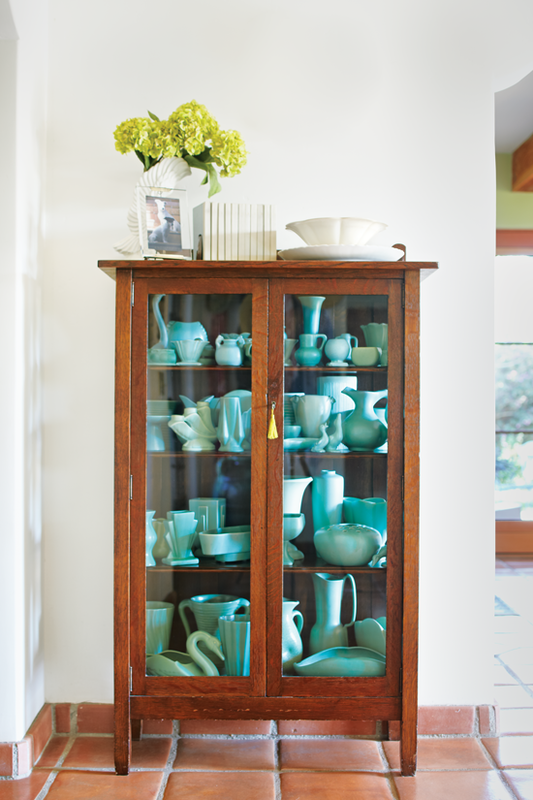 If you follow this tip, you’ll not only make treasure hunting simple and fun, you’re also guaranteed to end up with a display that will look amazing every time. Start collecting by color! 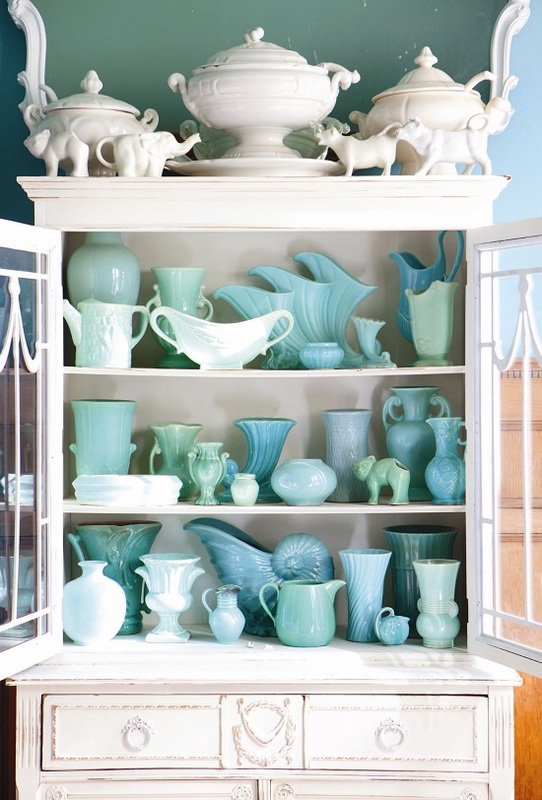 For pottery connoisseurs, collecting by color is one of the easiest ways to create a sensational display. Pick pieces with beautiful lines and shapes that speak to you. There are an endless variety of makers to choose from, such as Fiestaware, McCoy, Van Briggle, Haeger, Anglia, Stanford and Bauer Ringware, making it easy to find pieces. 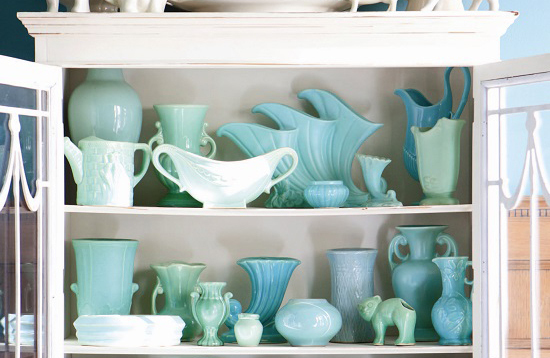 But pottery isn’t the only category that is easy to collect by color. Glassware, china, even vintage linens can all be color driven. And don’t be afraid to vary the hues, the textures and even the finishes. Doing so will only add depth and interest to your displays. Enjoy the hunt, and when you’re ready to show them off, choose a white or deep wood cabinet with glass doors or exposed shelves that will do your collection justice. Looking for more ideas on what to collect? Check out this post all about collecting brown transferware or this one on Depression Glass. Of course, don’t forget to follow us on Instagram , Facebook and Pinterest to get your daily dose of cottage inspiration!